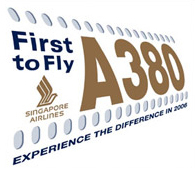 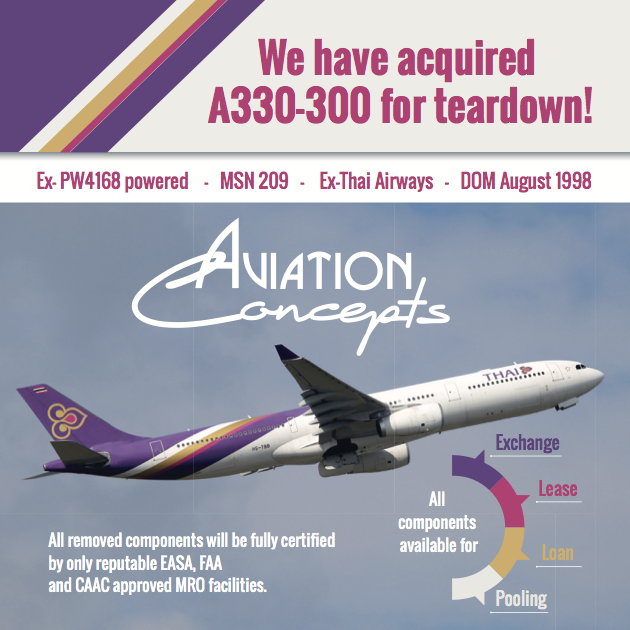 2019| We have acquired A330-300 for teardown! 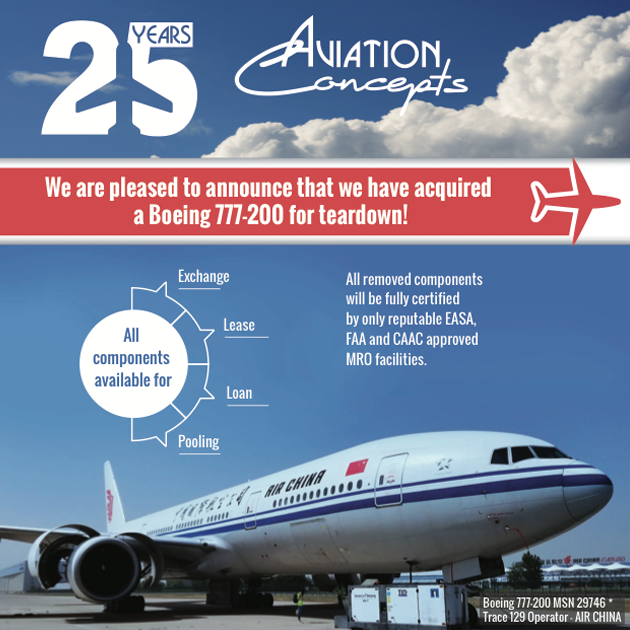 2018| We have acquired 777-200 for teardown! 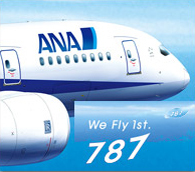 2017| We have acquired 777-200ER for teardown! 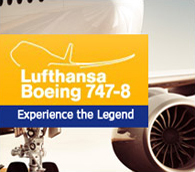 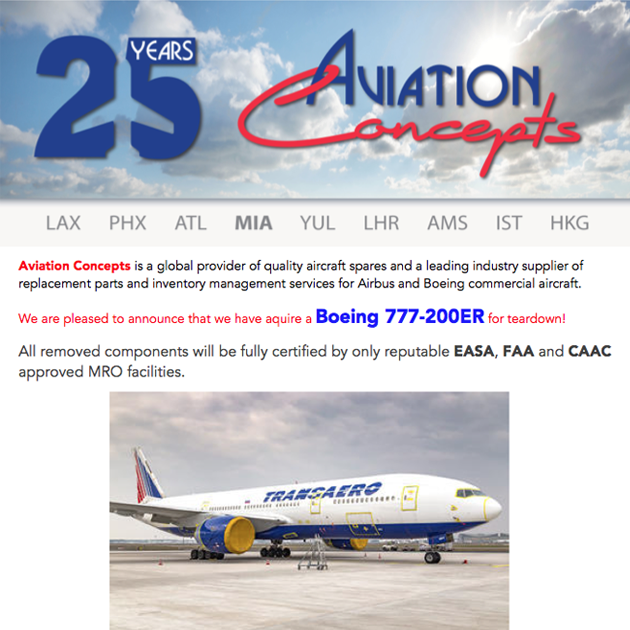 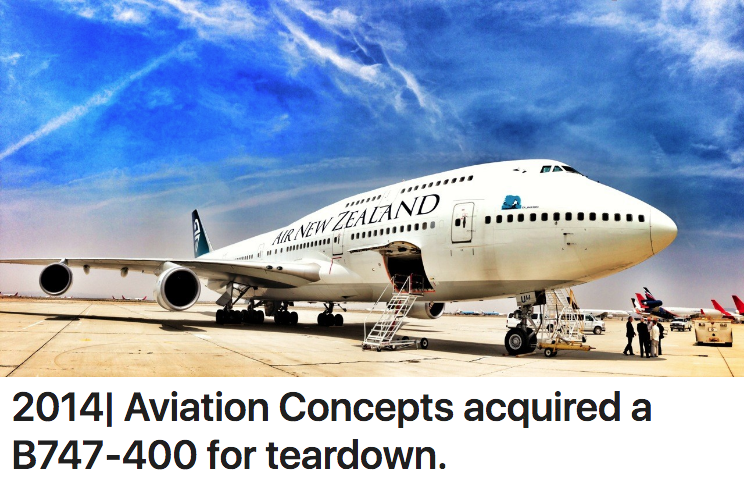 2014| We have acquired B747-400 for teardown!